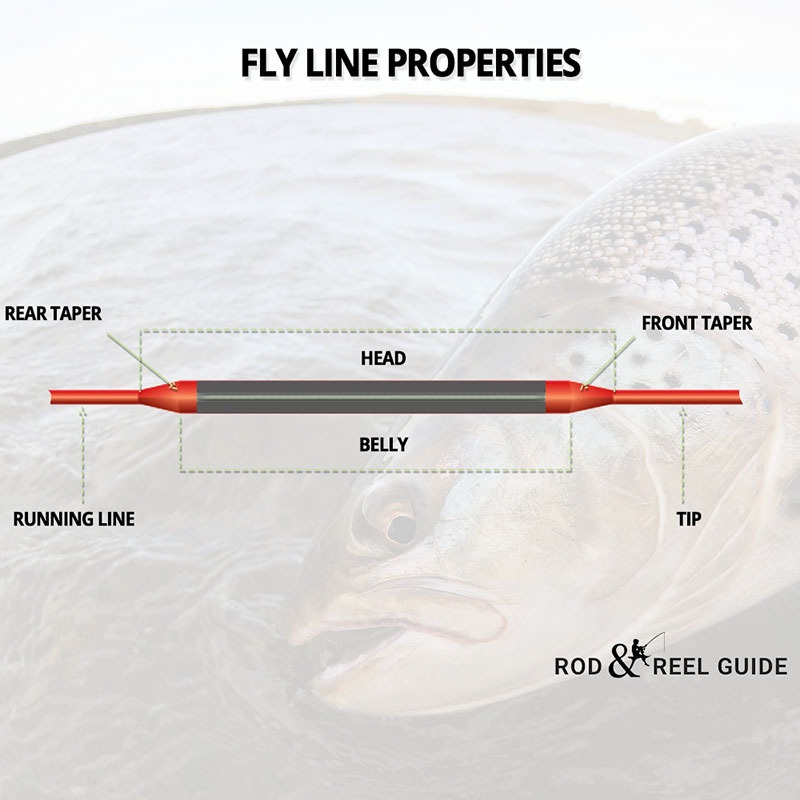 Fly Line Basics. Picking the correct line for your next trip. Fly lines – there are so many options available to you that you really need to understand which particular fly line is suited to each fishing scenario. Do you need a double taper or a shooting taper, a weight forward fly line or a floating or sinking fly line. My first fly fishing setup was a starter pack and to be honest I fished with this for quite a long time before I decided to upgrade. Today I wanted to go through fly lines and give you some background on the use case for each type. What does fly line do? Most artificial flies weight hardly anything you need something that will help you cast the fly out into the swim and give you enough control that you can place the fly right where you want it. This is where the fly line comes into its own. It is the weight of the fly line that helps you cast the fly and the action of loading the rod that gives you the power and the distance required to launch the fly and line out into the river or lake right in front of a rising fish. Fly lines are made from a variety of different materials such as nylon, dacron and PVC and are coated with polymers like PTFE and polyurethane. It is the makeup of each fly line that differs and this is the bit that you really need to know to be successful at fly fishing. There are a few primary tapers when it comes to fly line differences and we will the two main tapers in more detail shortly. To sum it up a taper is the design of the fly line and how it affects the casting and fishing style with that particular line. The most common of all fly lines and one we see used the most is the weight forward line. The best way to describe this is most of the weight of the line is concentrated towards the leader end of the line. On your reel, you will have your backing and attached to that your fly line – with the first 50 odd feet being of normal diameter. The line tapers out into a thicker section – called the belly of the line which runs for about 30 feet and then quickly tapers back to normal thickness for the last few feet. The advantage of this line is as you cast the weight is concentrated forward so gives you a much easier casting action because the weight of the line is doing all the work for you. If you are trying to cast long distances to reach fussy trout then you are going to need weight forward fly line to give you that extra power to get your fly out there. 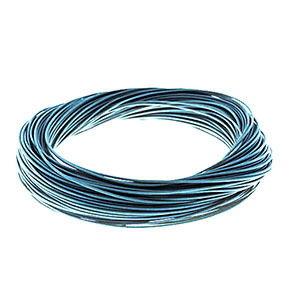 We would consider this the best fly fishing line for trout. Double taper fly line is also very commonly used by fly fishermen everywhere who are looking for a very light presentation of the fly on the water. Because the taper is matched at both ends the majority of the weight is carried by the middle section of the line. The first few feet of fly line is the standard diameter and then comes the taper which runs for most of the length of the line and the last few feet of line taper back to normal diameter again. We use this line quite a bit when dry fly fishing because we want to get the softest, most realistic presentation of the fly on the surface film of the water. Another great use case for this fly line is you can reverse it if you damage on end of the line. Simply strip off the line and detach it from the backing and re-spool the opposite direction again and off you go fishing. Normal over the counter fly line comes in lengths of 80’-90’ approximately. Now that may not seem like a lot of line compared to traditional spools of line but remember you are going to be loading up your fly reel with backing first and then attaching a leader and tippet to the other end which will give you plenty of line to work with. There are other fly line lengths available but this will suit most if not all fishermen out there. While we are talking about line length lets look at casting distance. I tend to fish as close to where I am standing as possible but I often see people trying to cast their full spool of line out into the water. Try investing in a pair of waders or stalking your fish to get closer and avoid those long casts. The further you try to cast the more difficult accuracy becomes. If you can get close to your fish you will be able to study their eating patterns and how they are acting in the water. This greatly improves your chances of landing one if you can present your fly in a natural way right in front of the fish. If you can get close to your fish you will be able to study their eating patterns and how they are acting in the water. This greatly improves your chances of landing one if you can present your fly in a natural way right in front of the fish. Like everything in fishing, there are plenty of options available to you. Fly line is no exception. Apart from the different tapers, you have to consider you should also look at line weight and action in the water. Let’s take a look at the three main types here – floating, sinking and sink-tip fly lines. First up we want to talk about floating fly line. This is by far our favourite type of fly line for trout, especially if we are using dry flies. When you want to get a very natural presentation of the fly you have to look at many elements of your setup and the floating line is one of them. It does exactly what it says on the tin – it floats on the surface film of the water. This helps reduce drag from river currents and gives a nice soft presentation of the fly to the waiting hungry trout. One word of warning here though is that because the line floats the leader and tippet have a tendency to float as well so make sure to degrease them before you cast out or you will spook the fish as they will see the leader causing a disturbance on the surface of the water. Floating line is great if you are just starting out because it is the most forgiving line on the water. It sits on the top of the water and makes casting much easier because you can literally pluck the line off the water and go into a cast with any dragging. If you are lake fishing or trying to get your wet fly down to deeper fish then you need to get yourself a sinking fly line. These come in various sink rates and it all depends on your preferred target as to which one you go for. Make sure to check the manufacturer rating in case they have variations in their weighting system. We like this one from Scientific Anglers as it offers the best all round value for money and it’s a superb quality fly line. Formulated by the American Fishing Tackle Manufacturers Association this system uses a code of letters and numbers to describe the characteristics of a fly line. The first letters of the code indicate the line’s profile or shape, the number that follows indicates it’s weight. The last letter (or two letters) signify it’s density. The number assigned to a fly line (see table below) depends on the weight, in grains of the first 9.1m (30ft) of the line, excluding any level tip. AFTM numbers are also assigned to fly rods so make sure the number of your fly line matches the number on your rod for a well-balanced casting action. With fly line classification the letters preceeding the weight number (DT, WF, SH or L) indicate the taper of the line. The letter or letters that come after the weight number (F, ND, I, S, FS, VFS) signify the density or function of the line – as in – whether it sinks or floats or has a neutral density and sinks very slowly. A fly line described as DT9F is one that has a double taper, is of weight number 9 and floats. A line described as WF7ND is a weight forward fly line with a weight of 7 and is of neutral density. So there you have it. We hope you found this guide to fly line of value and can now make a more informed choice when you next go shopping for a new fly line. If you are starting out then we recommend a floating line and weight forward. This is by far the easiest line to cast and because it floats you won’t have any problem plucking the line off the water. As you get more experienced you may want to upgrade and start to experiment with different weight lines and try a different taper. Whatever you decide and whichever fly line you pick we hope you get out there and start catching some fish.